Ms. Dimple Cantrell, 81, passed away on January 31, 2017 surrounded by her loving family. She was born on October 26, 1935 to the late Mattie and Garner Norfleet, Sr. She is also preceded in death by her loving husband, Ovel Ray Cantrell; and two brothers, Garner Norfleet, Jr. and Bobby Norfleet. Ms. Dimple was always known to be a caregiver. She was a “fixer” to everyone’s problems and was always the best listener. She loved to work in her flower gardens and took pride in her job at Tate Fabricating Company. She especially loved her dog, Daisy. 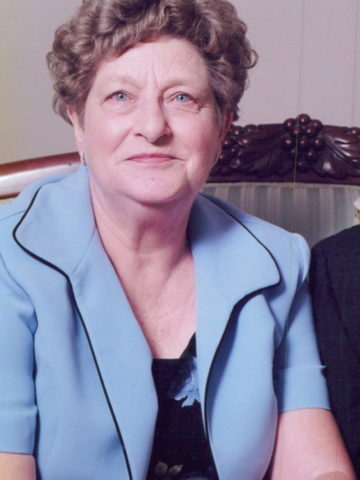 She is survived by her four children, Deborah Scott (Stanley), Sherry Groom, Ronnie Cantrell (Cathy), and Donnie Cantrell (Linda); four grandchildren, Stacey Collins, Scott Shumake, Amy Ballenger (Mark), and Raegan Jones; seven great grandchildren; and two brothers, Melvin Norfleet and Larry Norfleet. The family wants to give a special thanks to Ms. Dimples caregivers, Sherry Kirby, Shannon Gregory, Connie LaRonde, and her hospice nurse Tim Brashears. Pallbearers: Zachary Collins, Mark Ballenger, Bill Norfleet, Brandan Morgan, Jamie Cantrell, and Hunter Cantrell. I miss you dear mother. I could not have asked for a better one. I will see you again. I am so sorry that I’m not able to attend the services. I am thankful to have met such a wonderful lady and her family.